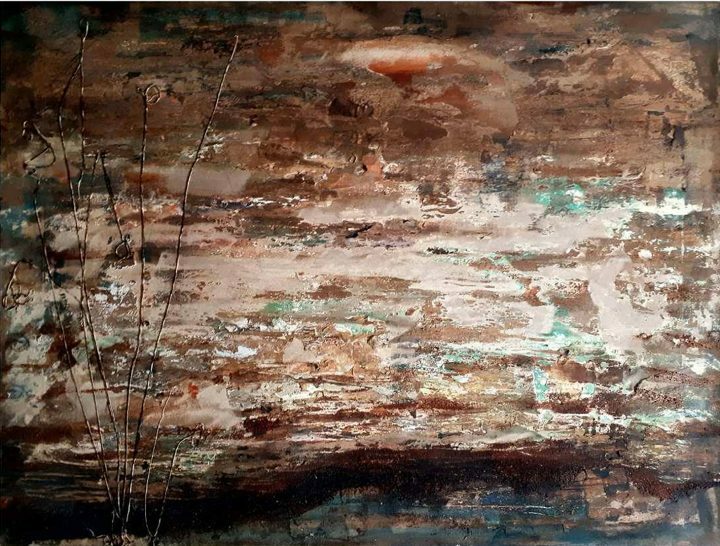 An interview with Khozema Alaaed, mapping how the psychological manifests in his painting. ISTANBUL — Khozema Alaaed is from Syria’s Golan Heights. 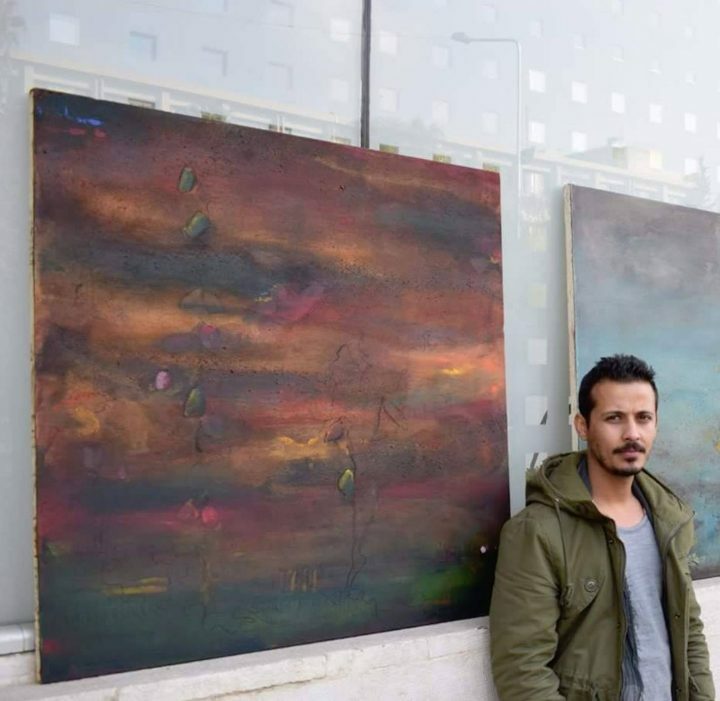 He enrolled in the Faculty of Fine Arts at Damascus University in 2014 and graduated last year, always working in Damascus, whether in times of peace or times of war. 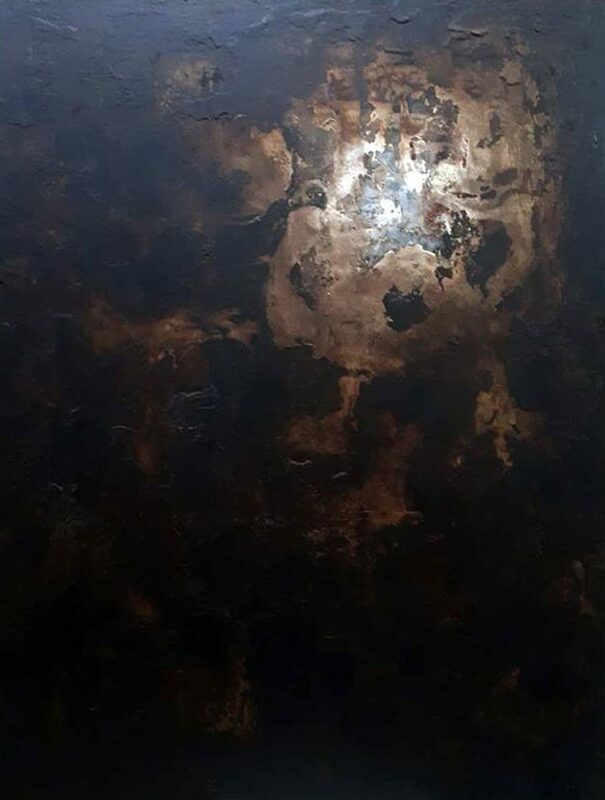 His first solo exhibition opened in January at Kalimat Gallery in Istanbul, under the direction of Adnan Alahmad, a former Aleppo-based art dealer. He is currently preparing for shows in the US, Italy, and Spain. Hyperallergic: As a participant in numerous state-organized shows in Syria, and as an artist educated in Damascus, what would you say is the distinctive signature or character of contemporary Syrian art that makes it unique in comparison with art trends and expressions from other nations considering pan-Arab and Arab-Turkish cultural histories? 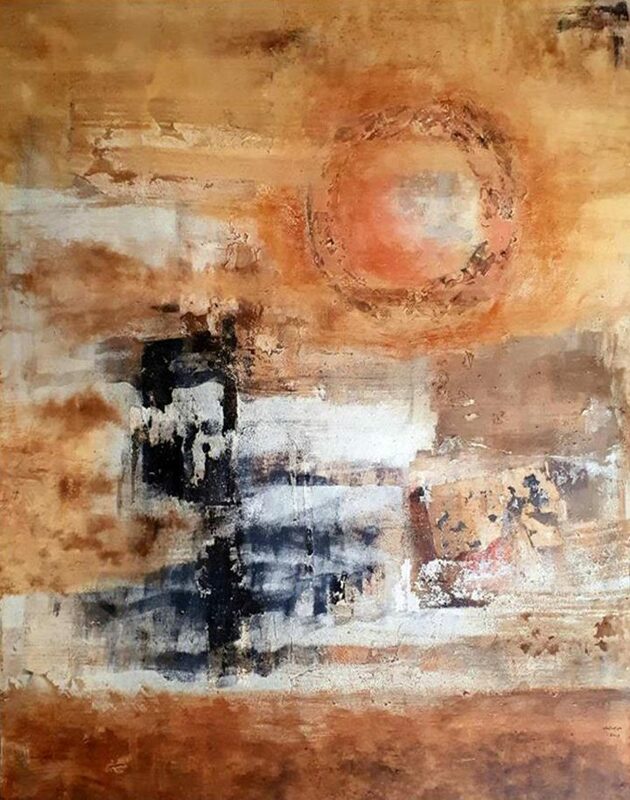 Khozema Alaaed: Contemporary Syrian art looks like Syria because it stems from its civilization, its environment, and its diverse culture. This gives it a special character and makes it unique from art in the surrounding countries. H: You state that you have experienced a psychological change over the course of your career? Could you elaborate on this? What have you experienced and how has it affected your artwork? KA: The latest project I worked on went through many stages. These stages changed with the time. We live with war, destruction, sadness, happiness, and joy. Each stage leads me to psychological change, and to changing techniques in my work. Art is a reflection of society, so, all of these variables forced me to change how I think of my artwork, which leads me to practical reflections on the psychological and visual reality in my country. H: Your paintings, as you say, incorporate the elements of earth and air, and evoke the cruelty, fire, the destruction of war. How do you consider these motifs when applying texture and form to your works? Do you ever paint directly based on your eyewitness of scenes of war and calamity in Syria? 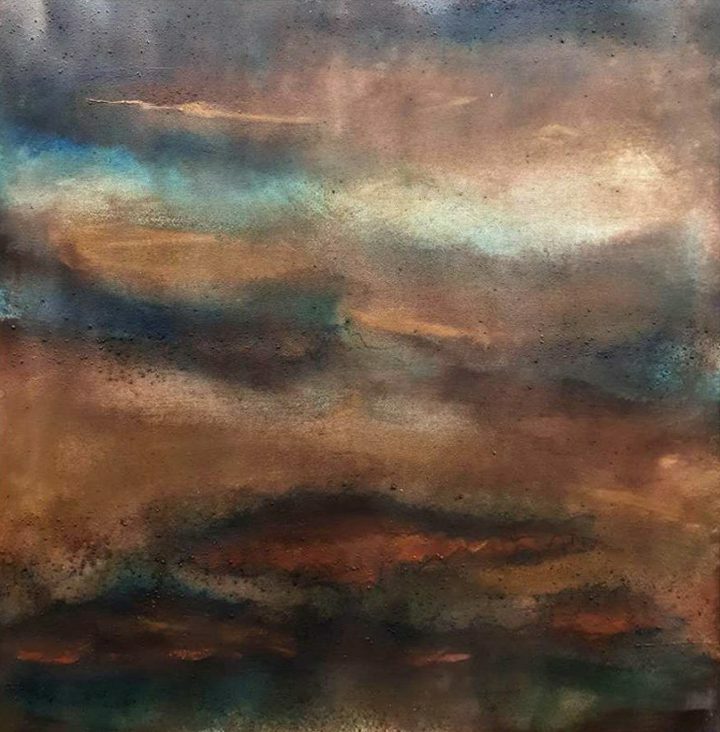 KA: The earth and the sky are expressed by horizontal lines, composition, motion, and through textures, colors, and transparency — to express the two together. These approaches merge the earth and the sky. So you can see the painting as land and as sky from certain angles or as both together. Since cruelty and war are ideas based on destruction, that idea was also reflected in how I work. I build the painting and then destroy it to get a result similar to destruction [in war]. Sadness, fire, and destruction are described through the roughness of the surface and the topography of the painting. H: While you might not adhere to a school of painting or artistic movement, you must have colleagues? Do you realize or affirm a kind of solidarity or creative consensus in your works with fellow painters, Syrian or Arab or Middle Eastern? KA: I try to put my feelings [in] paintings. This experience leads me away from adopting any school of art or specific style. The work is a true image of my feelings and my visual memory and my psychology. H: Are you currently in Syria? If so, how is it possible for a working artist to live and create and develop their career there now? What contemporary art scene did Syria have before the current war? And how was Adnan Alahmad and Kalimat Gallery in Aleppo important to that? KA: I am currently in Syria. There is no doubt that my circumstances are difficult, but I am with the idea that difficult situations generate beautiful art. For this reason, my current series is born from the spirit of this period and its difficulty. The activity before the war was good and a lot of galleries had opened. The older ones, such as Kalimat Gallery, worked hard to improve Syrian art, which contributed to cultural life, especially in Aleppo. H: Where does Istanbul stand for you on the regional contemporary art map? 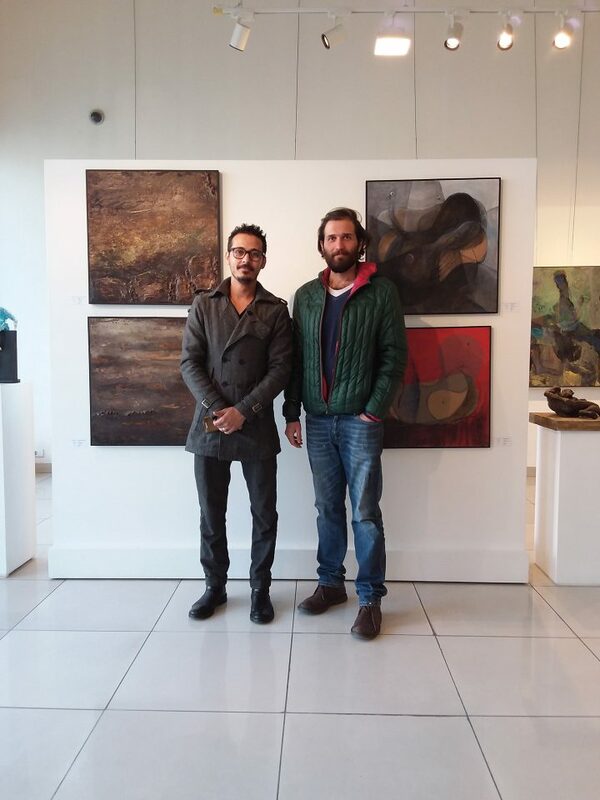 How important is it for artists in neighboring countries like Syria to develop their career? KA: Istanbul is an important city because it is open to the East and West with a special cultural nature. For this reason, Istanbul is one of the most important options for artists to go to and present art. It is a starting point for young artists. H: I notice your use of light is powerful, charged with a presence of soul. In contrast, your colors maintain a very earthbound palette. What is your process when approaching a new piece? And finally, you say that you see your work as historical travel, could you explain what you mean by this exactly? 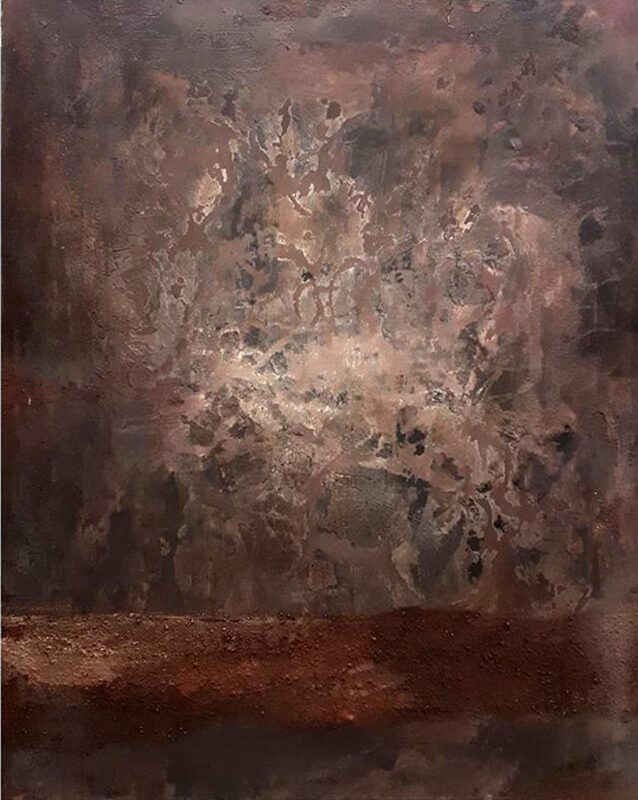 KA: When I make a new painting, I am influenced by the surrounding atmosphere and I am connected to the earth. These feelings push me to earth colors. At the same time, I am burdened and need hope. That is the reason for putting the space of light in my paintings, which is a revealing space that expresses hope. My work as historical travel, points to how imagination forms in historical stages. My work has many stages and layers that express a heavy accumulation of time and many psychological situations. You can see it, you can feel it.